What an Awesome Place to Grow! BRiDGES Preschool is a “Nationally Accredited” and/or “Quality Rated” family owned and operated preschool serving the East Valley for almost 19 years!! Our campuses are located in Gilbert, Tempe, Chandler, Mesa and Queen Creek. All of BRiDGES Preschool teachers and staff have or are finishing degrees in Child Development, Early Childhood Education or child related fields. BRiDGES Preschool has been popular among Colleges and Universities for our innovative and developmentally appropriate environments that are among the very best in the world-wide field of Early Childhood Education. All Early Years Children enjoy ample time outdoors in our nature rich environment, designed especially for your growing toddler. Parents are always welcome, so please call or visit anytime. BRiDGES naturally evolving preschool curriculum also focuses on positive character traits, communication skills, assertiveness training and problem solving for all children. Please call or visit anytime. Whatever their classes' Adventures, each child will savor their Summer experiences by learning through science, cooking, art, tons of quality children's literature and MORE. 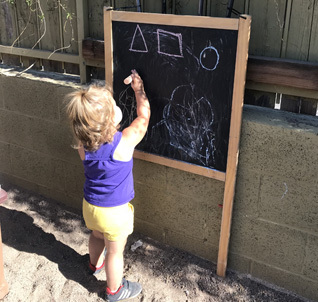 Knowing that Kindergarten is one of the most formative years in a child's educational career, more and more parents are seeking a private school alternative for their children.